Cuttwood Unicorn Milk 30mL - All Natural Strawberry Extract and four different Creams. This e juice tastes just like strawberry milk. Easily an all-time top selling vape juice. Best juice on the market "Unicorn Milk." I use no other vape oil but Cuttwood. It is top shelf and the best vape oil on the market. 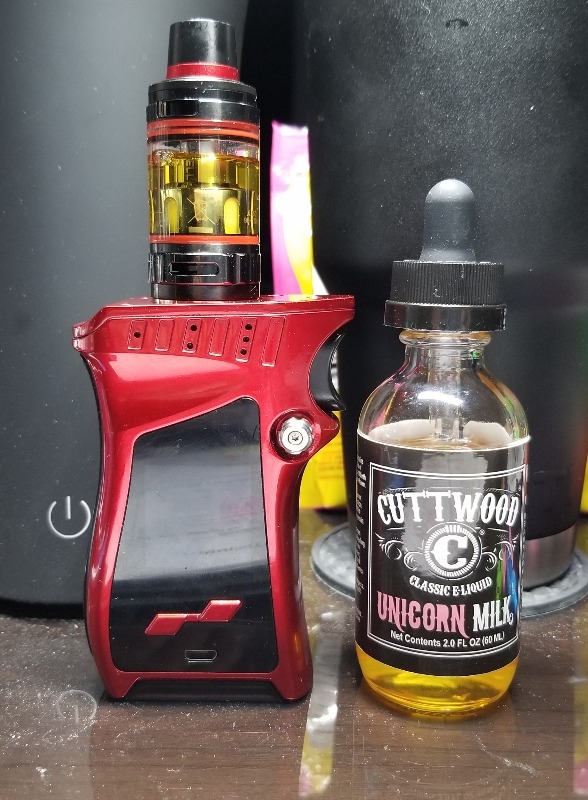 I've tried several brands of vape juice and none are even close in comparison with Cuttwood, especially the Unicorn Milk flavor. I love Unicorn Milk by Cuttwood. Delicious!